Dr. Joseph Murphy's classic book The Power of your subconscious mind was first published in 1963 and became an immediate bestseller; it was acclaimed as one the best self-help guides ever written. Following the success of this work, Dr.Murphy lectured to thousands of people around the world, while millions tuned in to his daily radio program. In his lectures, he pointed out how real people have radically improved their lives by applying specific aspects of his concepts. 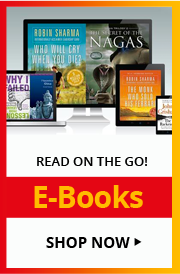 Now, these lectures have been combined, edited, and updated in six books that bring Dr. Murphy's teachings into the 21st century and provide readers with his proven tools on how to program their subconscious minds so that they can radically improve their lives. 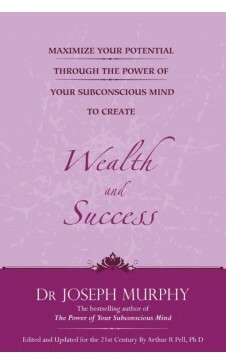 In this book Dr. Murphy shares his four - step master key to wealth to guide you to abundance and continuing prosperity. By following this plan, a salesman quintupled his income, a minister funded the rebuilding of a church for a previously impoverished congregation. Many other success stories took place that will inspire and amaze you. Dr. Joseph Murphy (1898-1981), is widely considered to be the pioneer of the human potential movement. Internationally acclaimed as an author, teacher and spiritual guide. Dr. Murphy wrote more than 30 outstanding self-help books, including Telepsychics; Believe in Yourself, How to Attract Money, and Psychic Perception, amongst others. His most famous work: The Power of your Subconscious Mind continues to reign bestseller charts as the self -help bible, even after all these years.